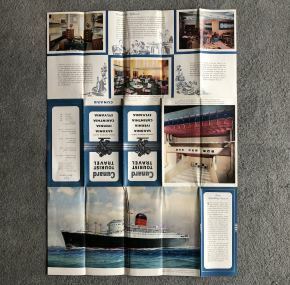 Large fold-open brochure for the new Canadian Quartette. 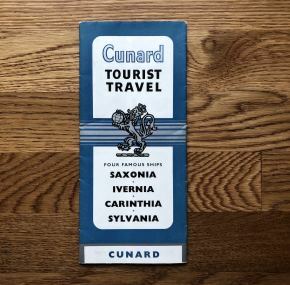 Saxonia was first followed by Carinthia, Sylvania, and Ivernia. Although lovely ships, it is surprising that they were built at all. 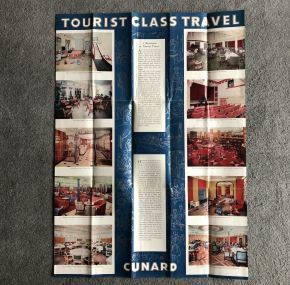 Cunard knew that they never made money on the Canadian service (and one chairman even said so in the annual report to the shareholders), but I suppose Cunard felt obligated to try to compete with Canadian Pacific. 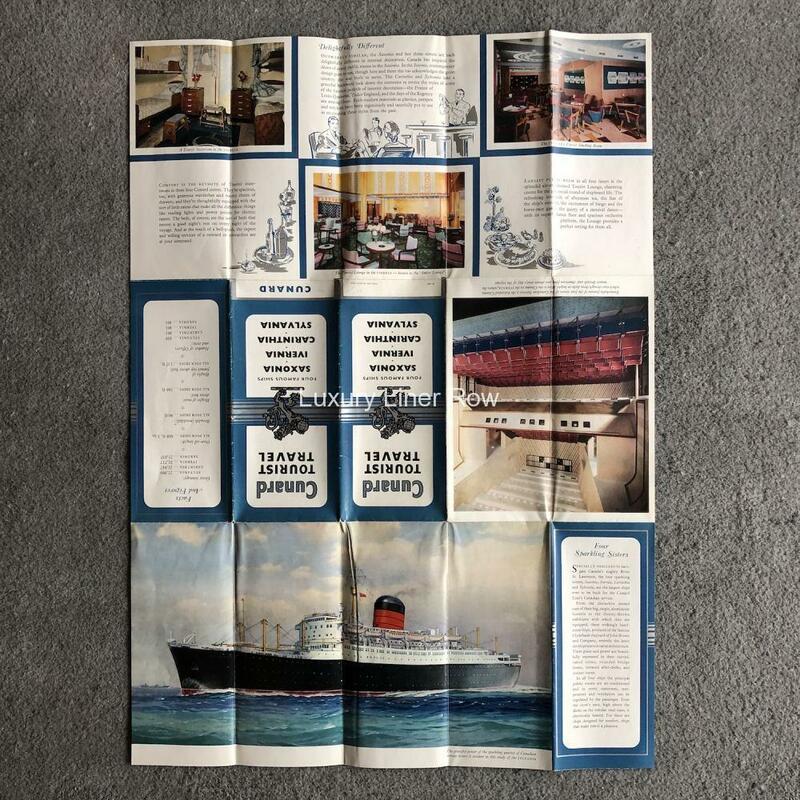 I wonder if it would have been better for Cunard to have built a pair of slightly larger diesel liners that could be converted for cruising in the winter. Of course, hindsight is 20/20…. Either way, this brochure is filled with full-color images of the sisters. 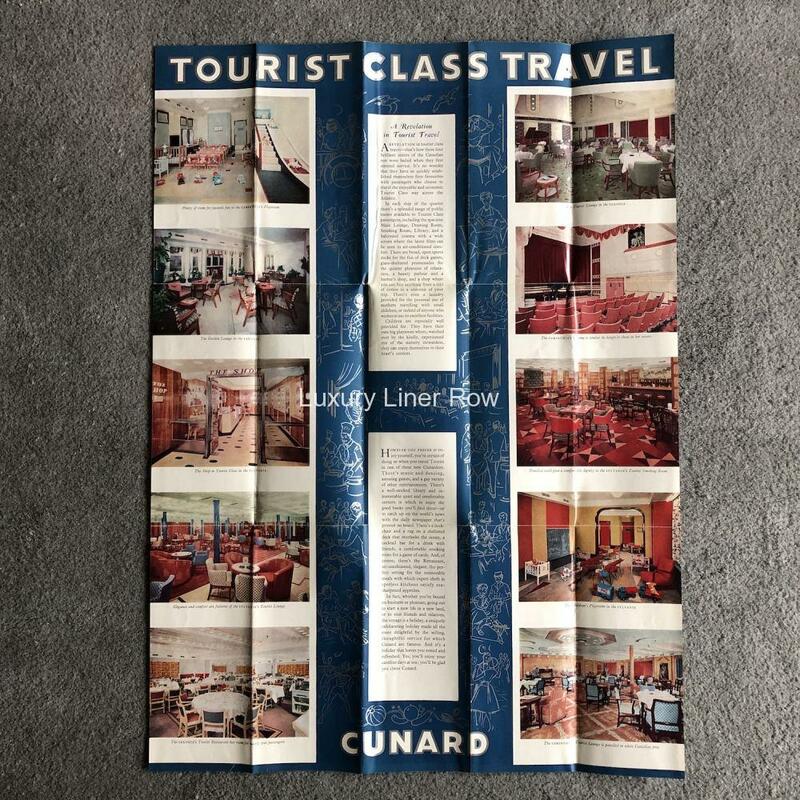 And if you look carefully, you can still see Cunard’s style in them even though they were trying to look to the future in their interior design. Measures about 27″ x 19″ when open. 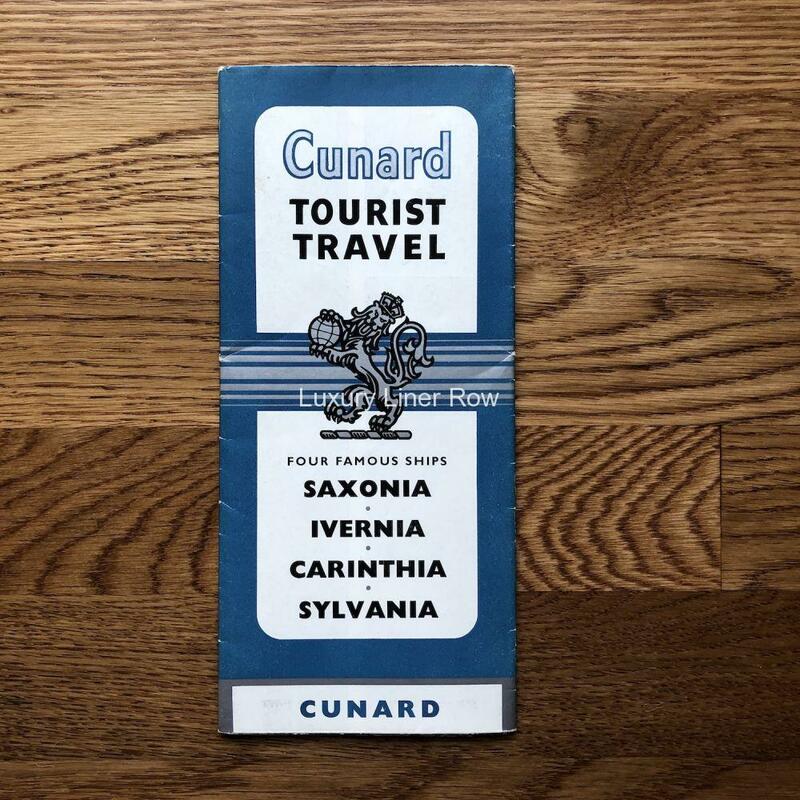 A brochure I have not seen before.